Claudette took the bus back and forth to school. She was fifteen when she boarded the city bus and took a seat in the front – in the”white” section. When asked to move to the back, she refused. Two police officers boarded the bus and dragged her off, handcuffed her and took her to jail. This was nine months before Rosa Parks did the same thing and became the symbol of the civil rights movement. Claudette was branded a trouble-maker in her community and moved to New York City. 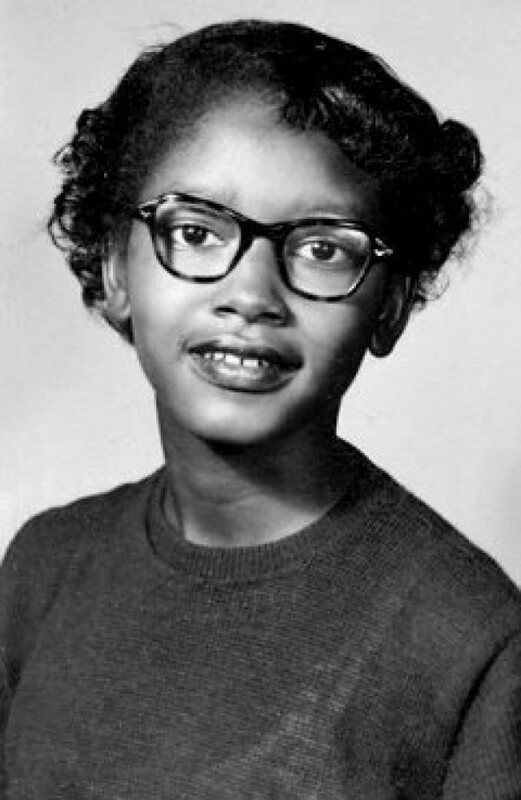 She and three others challenged the local and state laws in Alabama that authorized segregation of the races on public transportation. The United States Supreme Court ruled in their favor, finding the laws unconstitutional in 1956 (Browder v. Gayle).